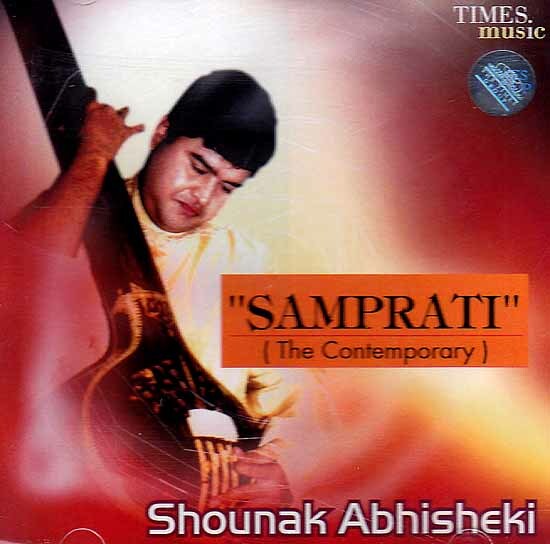 Shri Shounak Abhisheki is the son and disciple of legendry classical musician and composer Pt. Jitendra Abhisheki. Shounak himself a leading vocalist of young generation has a beautiful combination of Agra and Jaipur Styles in his music as he has done his primary training under the tutelage of Smt. Kamala Tambe of Jaipur Gharana. Shounak’s performances comprises not only of classical music but also other aspects of music like Tappa. Thumri, Hindi and Marathi Bhajans Natyasangeet etc. He also performs special programmes like Swarabhishek Tulsi-ke Ram and kabir based on his father’s compositions. Not only has he performed in all the major music festivals in India but has also toured abroad extensively in countries like the U.S.A, U.S.S.R., U.A.E. Thailand etc for concerts.